The adventure of outdoor landscape photography started well over 20 years ago for me. In the beginning the primary equipment revolved around the 35mm platform. But, very quickly the image size progressed to Medium Format with a Mamiya RB67 ProSD and almost 10 years ago now a Large Format camera was added with the Wista DXIII Field 4x5 camera. 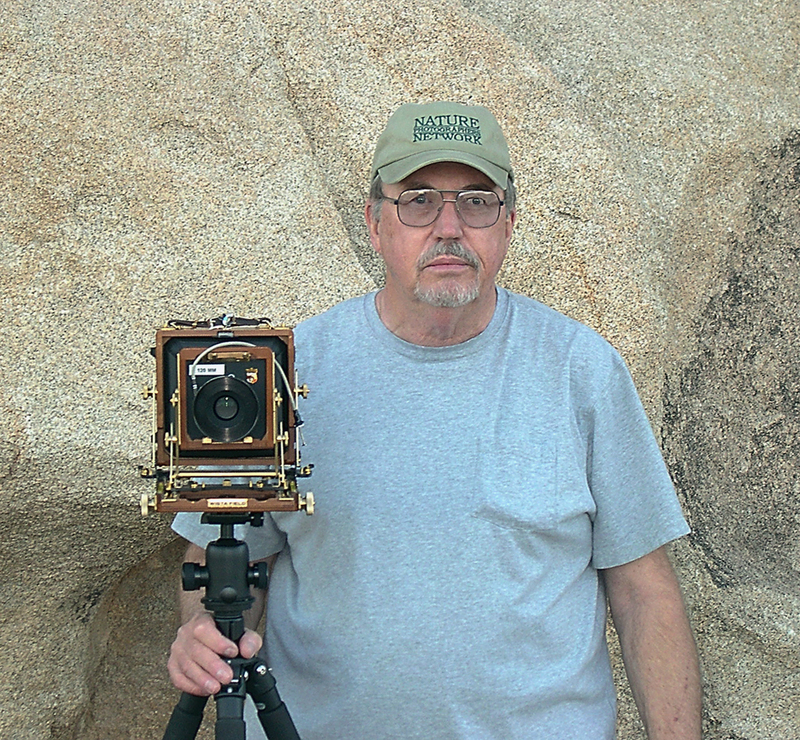 During these many years of outdoor landscape photography I have been a long time standing member with NPN (Nature Photographers Network) and APUG (Analog Photographers User Group). Although things have dramatically changed in the world of photography during the years with the addition of digital capture for many photographers, the overall art of photography has not. The tools can be different, however, the desired results remain the same for most landscape shooters. This gallery is dedicated entirely to the overall use of all film captured images and scanned at a very high resolution. All images are processed through photoshop as needed and placed on line for final critique with a highly experienced group for review.